The General Assembly should reject any efforts to extend the authorization of the state’s two virtual charter schools, and should instead focus on winding down the two failing schools. Since their creation, North Carolina’s two virtual charter schools, North Carolina Virtual Academy and North Carolina Connections Academy, have been among the worst-performing schools in the state. Advocates for these two schools have opposed meaningful accountability or evaluation measures, rushing forward to extend without any evidence that the program is working. The schools are based on a model that has failed spectacularly in several other states, and North Carolina’s laws offer no protections against the failures of other virtual charter schools. Finally, the schools fail to meaningfully expand enrollment options for students, as the state already offers a higher-quality on-line option. Why is the General Assembly considering an extension? Virtual charter schools are publicly-funded schools that are governed by an independent board and deliver instruction entirely on-line. The North Carolina General Assembly authorized two such schools to operate beginning the 2015-16 school year. The authorizing language (Section 8.35 of S.L. 2014-100) established the schools as a four-year “pilot program,” requiring additional legislation for the schools to continue operation beyond the 2018-19 school year. At its May 1, 2018 meeting, the Joint Legislative Education Oversight Committee endorsed draft legislation to allow the two virtual charter schools to continue operating through the 2022-23 school year. The legislation, since introduced as HB 988/SB 731, also delays by two years the first of two required evaluation reports, pushing the reporting date from November 15, 2018 to November 15, 2020. Virtual charter schools came to North Carolina largely via the aggressive lobbying efforts of for-profit operators, particularly K12 Inc. Their efforts led to the authorization of virtual charter schools via a four-year “pilot” program – inserted into the 2014 budget bill to avoid debate and scrutiny. Prior to the introduction of the authorizing language, the State Board of Education had conducted a study to develop a set of policy recommendations for how best to authorize virtual charter schools in North Carolina. These recommendations were ignored by the General Assembly in favor of language crafted by virtual charter lobbyists. The legislature eschewed the State Board’s recommendations on appropriate funding levels, grade levels served, teacher-student ratios, and allowable dropout rates. Since authorization, the Fiscal Research Division supplied members of the General Assembly and the State Board of Education with policy options to address 16 weaknesses with the authorizing language included in the 2014 budget bill. The General Assembly has failed to address any of these identified policy weaknesses. The only change to the language so far has been a move to weaken oversight of these schools’ dropout rates, allowing more students to withdraw from virtual charters mid-year without facing state sanctions. North Carolina’s virtual charter schools have performed exceptionally poorly. In their first year of operation, both virtual charter schools ranked dead last in the state for student growth. The following year proved little better. Once again, North Carolina Connections Academy finished dead last in the state for student growth. North Carolina Virtual Academy raised itself off the absolute bottom, but still finished in the bottom one percent of schools on student growth, getting outscored by 2,443 of 2,464 schools with a student growth score. This abysmal performance is consistent with virtual charter schools in other states. The most careful, comprehensive study of virtual charter schools, from Stanford’s Center for Research on Education Outcomes, found that virtual charter students achieved the equivalent of 180 fewer days of learning in math and 72 fewer days of learning in reading than students in traditional public schools. Nationwide, the average graduation rate at online schools is only 43 percent, about half the graduation rate at traditional schools. Lawmakers appear uninterested in any serious evaluation of North Carolina’s virtual charter schools. There is no funding or process for independent evaluation of the two virtual charter schools. If lawmakers were seriously interested in analyzing virtual charter performance as a true pilot program, they would include a framework for comparing the performance of virtual charter students against similar students in traditional schools. Other states are recognizing that virtual charters are a failed model. In addition to abysmal academic outcomes, virtual charter schools have engaged in a number of fraudulent business practices. Schools in other states have been caught falsifying grades to avoid state accountability measures. Several other virtual charter schools have fraudulently inflated their school enrollment figures, fleecing states of millions in state funds. As a result, lawmakers in a number of states, including Delaware, Indiana, Ohio, New Mexico, South Carolina and Pennsylvania, either have closed or are working to close failing virtual charter schools. 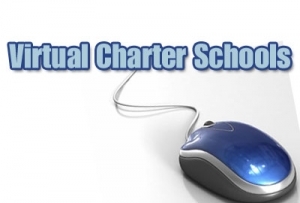 North Carolina’s virtual charter laws leave our state open to fraudulent practices from our virtual charter schools. North Carolina’s virtual charter funding model creates incentives for these schools to maximize their enrollment at the expense of investing in school quality. And the State Board has weakened attendance reporting policies at the behest of K12 Inc., making fraud even more likely. Meanwhile, budget cuts at the Department of Public Instruction have left the agency unable to fully audit virtual charter school enrollment. Charter advocacy organizations such as the Walton Family Foundation no longer support virtual charter schools and are calling for tighter oversight. The bills being considered this session would certainly put North Carolina in the minority of states moving towards continued virtual charter expansion and weaker oversight. Virtual schools can play a useful role in limited instances. For example, virtual schools may provide students access to specific courses that are not offered in their traditional school. Other students might be homebound or have non-traditional extra-curricular obligations that make it difficult to attend school on a traditional schedule. In 2007, North Carolina created the state-run North Carolina Virtual Public School (NCVPS) to fill this role. NCVPS is the second-largest virtual school in the country, offering a 150-course curriculum aligned to state high school graduation requirements. NCVPS courses maintain an average teacher-to-student ratio of 1:37, while virtual charter classes may have 50 students per teacher in grades K-8, and up to 150 students in high school courses. Additionally, NCVPS directs all of its funding towards instruction, whereas virtual charter schools funnel revenue to their for-profit corporate partners. It is unclear why North Carolina’s students need two additional on-line learning options with lower operating standards. Virtual charter schools have ranked among the state’s very worst schools over their first two years of operation. For-profit virtual charter operators have a track record of fraudulent business practices. North Carolina’s virtual charter laws leave the state open to fraudulent business schemes and fail to deliver high-quality education to North Carolina’s students. The schools serve no useful purpose, as students have other, higher-quality online learning opportunities. My son is in his 3rd year at NCCA and he’s doing better now than he ever did in a regular public school. And I don’t have to worry about school shooters or drivers hitting him as he gets off the bus. He loves his school and so do I! Honestly if we have to go back to regular schools I don’t know how he will react. He hated his old school and frankly so did I.